The ripples from the 9.0-magnitude earthquake and ensuing tsunami that leveled the Tohoku region of Japan on March 11, 2011, are still being felt in civil engineering, notably in the updating of standards. When COPRI’s Task Committee on the Seismic Design of Bulkheads met last week in San Diego, Japan factored into the conversation. When COPRI’s Standards Committee meets next week in Seattle to work on ASCE/COPRI 61.19–Seismic Design of Piers and Wharves Standard, Japan will factor into the conversation. “The lessons that we’ve learned and continue to learn are finding their way into ASCE/COPRI standards for seismic analysis of ports,” said Steve Dickenson, Ph.D., P.E., D.PE, M.ASCE, who recently joined professor and chair of the civil engineering department at Clemson University James Martin, Ph.D., M.ASCE, in leading a research team to Japan in conjunction with Japan’s Port and Airport Research Institute to observe the affected ports and harbors four years after the event. Dickenson began working with PARI (then the Port and Harbor Research Institute, PHRI) in the early 1990’s. Efforts intensified in 1995 after the 6.9-magnitude Hyogo-ken Nambu Earthquake in Kobe, Japan. 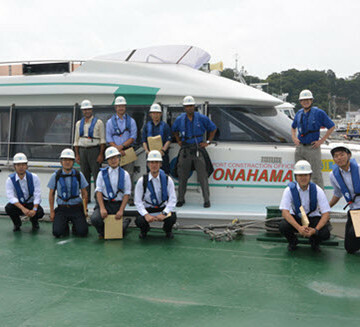 He returned in June 2011, leading one of two ASCE-sponsored post-earthquake reconnaissance teams that partnered with Dr. Takahiro Sugano and his colleagues of PARI. Dickenson and Martin’s return trip this summer, almost exactly four years later, was all about updating the lessons learned. 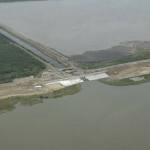 “Our goals were really to see how the rebuilding and reconstruction had gone and then glean whatever lessons we could; find out what PARI learned from this big event,” Dickenson said. What they found was the picture of resiliency. Many of the most vital berths in the earthquake-damaged ports reopened in late 2012, while many of the others are being rebuilt stronger than before. The Town of Onagawa, 2011, from the vantage point of the hillside Onagawa Hospital. Evidence of the height and destructive power of the tsunami can be seen in: the car perched on top of the third story of the damaged building (far righthand side of the photo); extensive damage to the walls of concrete structures; catastrophic and widespread nature of the damage to residential and light commercial structures. Maybe most impressive was the town of Onagawa, a fishing port of about 6,000 on the east coast of Japan. It suffered extraordinary tsunami damage in 2011. Four years later, the town has essentially moved uphill, reconfigured with rebuilding occurring on elevated grades of deep fills and further up native slopes. The waterfront portions of the harbor are largely rebuilt, and reconstruction of buildings and supporting infrastructure and utilities underway. The Town of Onagawa, 2015, from the hillside Onagawa Hospital, looking northeast to the bay at Onagawa. The demolition and removal of all of the harbor front structures, and re-construction of the waterfront quay walls has been completed. Site preparation is underway for new structures and placement of utilities. facilities. The use of soil improvement to mitigate liquefaction hazards and the seismic performance of waterfront structures taught valuable lessons. With respect to soil improvement, the waterfront structures supported with backfill that had been densified or cemented with various forms of grout – so as to avoid liquefaction – held up much better under the seismic loads generated by the earthquake than those that weren’t. Dickenson estimates that research on the 2011 Tohoku earthquake and tsunami involving engineering seismology, coastal and port engineering, lifelines engineering, and national resilience to natural hazards will continue another decade at least. PARI will soon release its comprehensive report on the impacts of the earthquake and tsunami, providing an essential resource for on-going applied research addressing the seismic performance of ports.